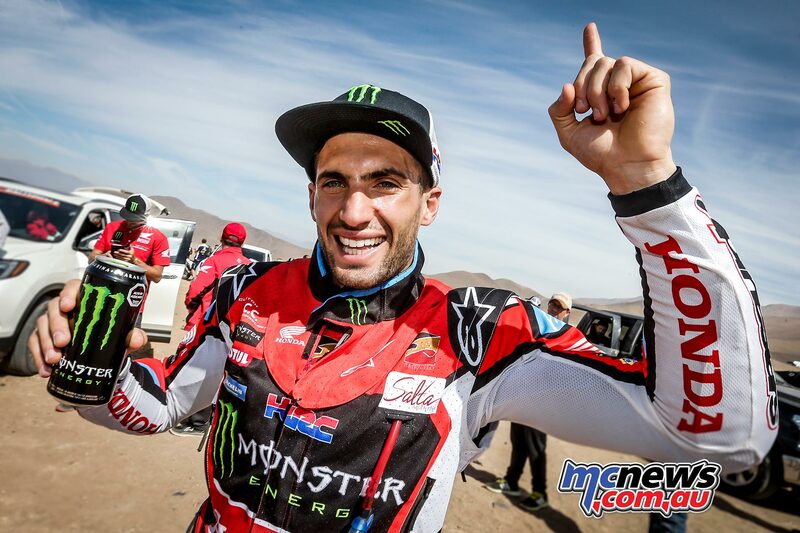 The Atacama Rally in Chile turned out to be hugely successful for Monster Energy Honda Team’s Argentinean rider Kevin Benavides, who clinched overall victory and took the leadership of the FIM Cross-Country Rallies World Championship. 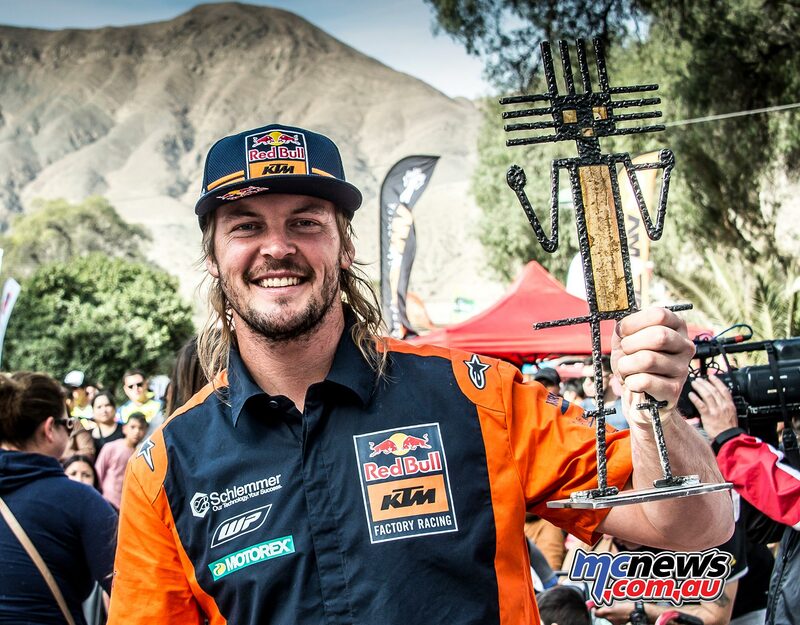 The final day, on a 155-kilometre looping route, starting and finishing in Copiapó, was battled out over the same course that had been used in Stage One. 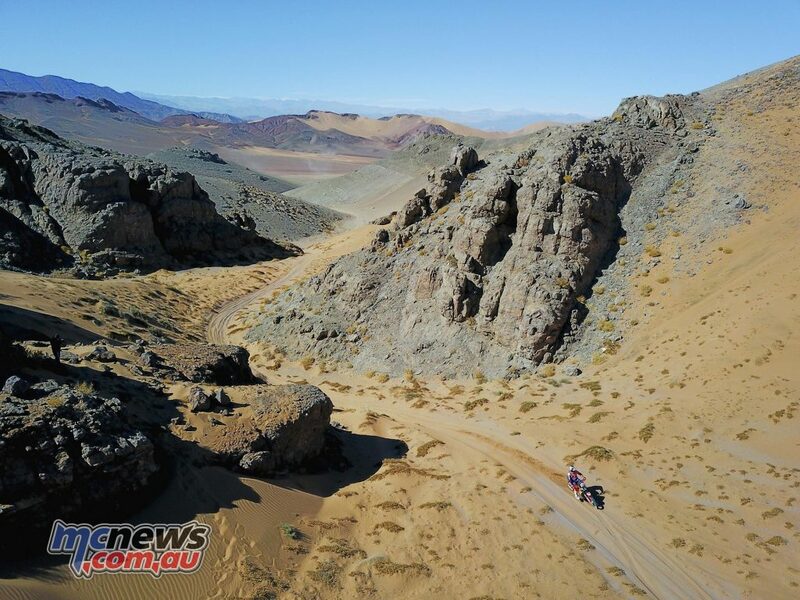 Competitors had to have their wits about them and were faced with some challenging navigation in the dunes as well as some off-piste and dry river beds. 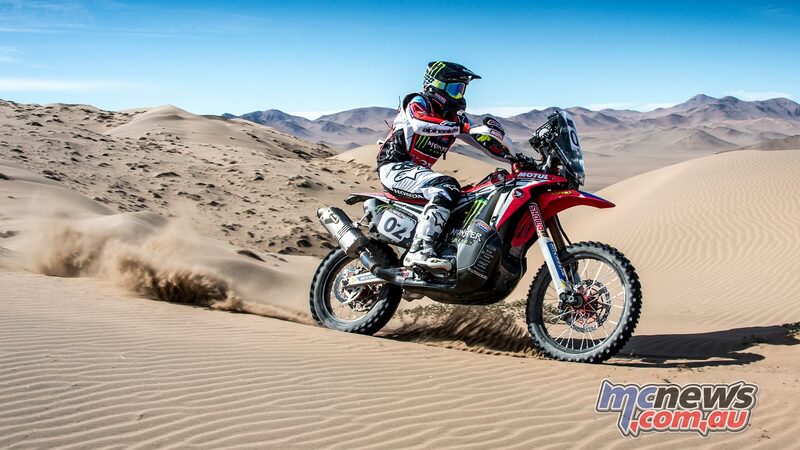 Kevin Benavides rounded off the Atacama Rally as he had started; proving to be the sharpest rider in the race, claiming the final stage and the overall rally victory after an intense final day. Second away from the start of Saturday’s final stage, Toby Price knew he would have to push hard to make up time on the provisional rally leader. 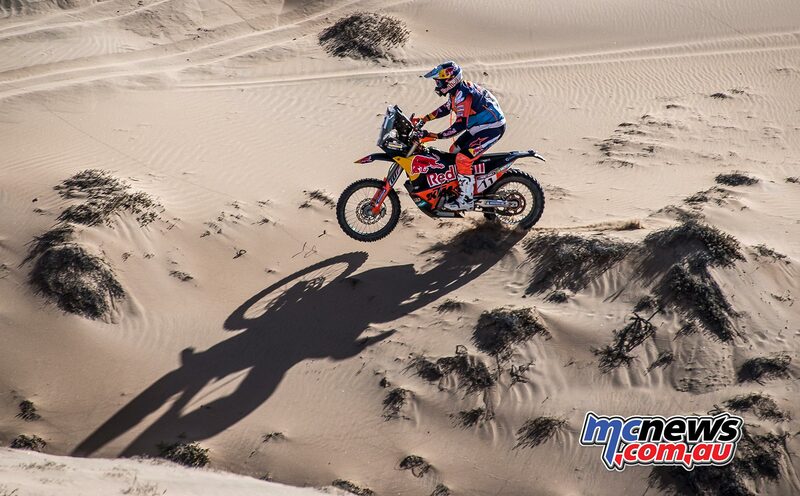 With the stage covering a lot of the area previously used in the rally, there were many traces left in the Chilean sand to confuse riders and upset their navigation. Posting the second fastest time for the day, Price was less than five-minutes behind the overall winner after a full week of racing in Chile. Pleased with his performance over the course of the rally, the Australian now looks forward to his next outing in Argentina. Pablo Quintanilla claimed a solid third place result and the Rockstar Energy Husqvarna Factory Racing rally star is now tied on points at the top of the FIM Cross-Country Rallies World Championship standings with Benavides. 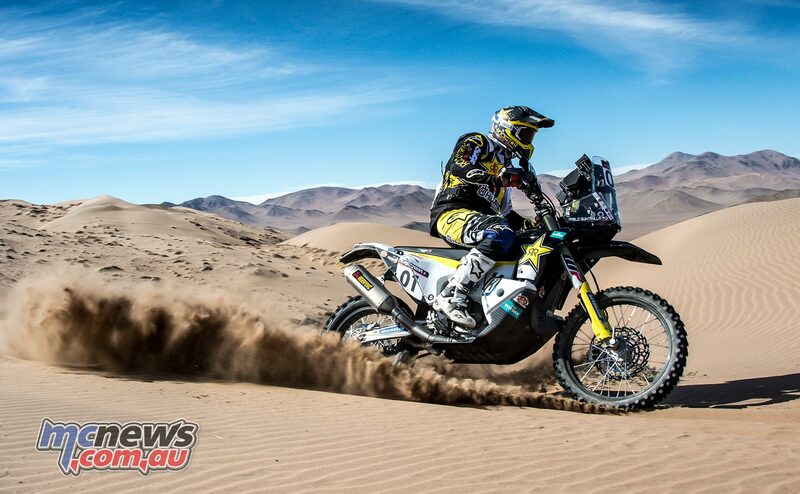 The next event for rally riders will be the Desafio Ruta 40 held in Argentina from August 25 to 31.